San Francisco is a hilly city located in Northern California on the tip of a peninsula surrounded by both the Pacific Ocean and the San Francisco Bay. The city is known for the Golden Gate Bridge, their historical cable cars, and colourful Victorian architecture that gives the city so much character. I recently visited San Francisco on a whirlwind, last minute trip I booked for earlier this month (September). I wanted a place that wasn’t too far from Toronto (five hour flight), and that I had never been before, and I had always dreamed about visiting San Fran ever since I saw it on the famous television show Full House growing up. I spent about four days in the city, but one day I spent half the day on a quick day trip over to Muir Woods (a national park) so I really only spent around three days in the actual city. 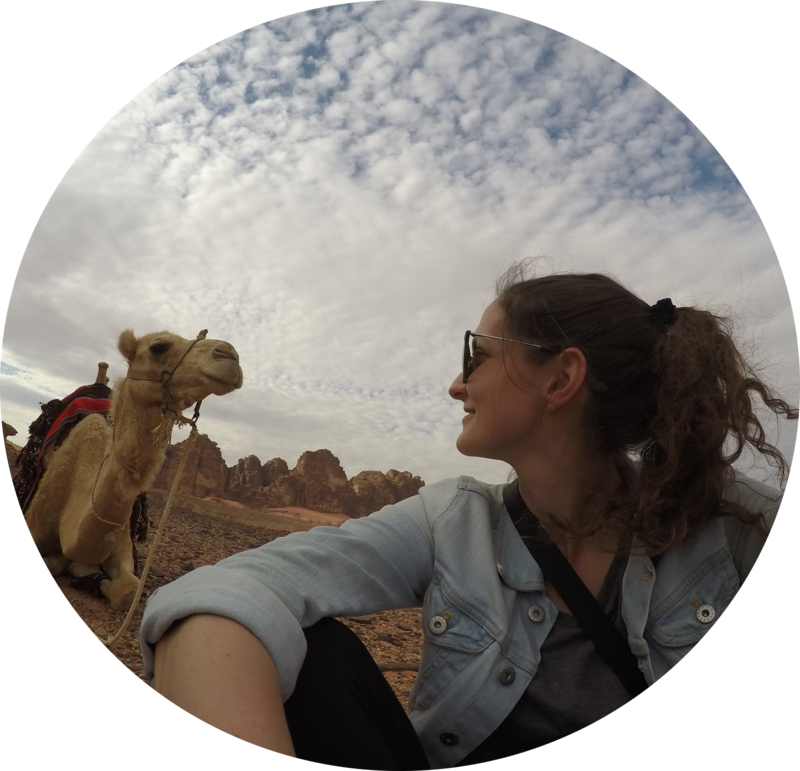 From what I did, I compiled a three day itinerary of what you should see and do while visiting. 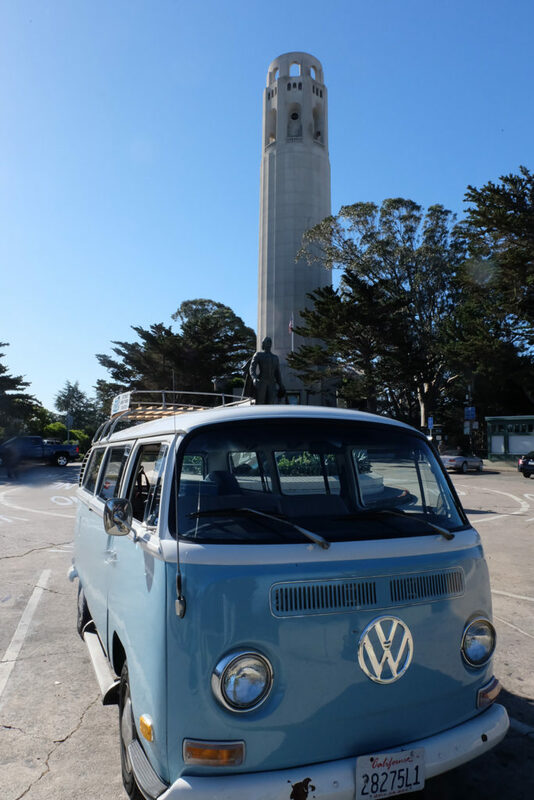 It’s always good to get the lay of the land when you are fresh in a new city and there are a few different options for touring around San Fran. Like any city, one of the most popular is the hop-on-hop-off bus system, but I wanted to opt for something more unique and intimate so I came across Vantigo, which are small tours operated in Volkswagen vans. You can read my full review on the Vantigo tour I did here, including a full list of all the places you’ll see on this tour like the Painted Ladies, Twin Peaks, and more. The tour was so much fun and gave me some good insight into the city and the lay of the land for the rest of my time in San Fran. 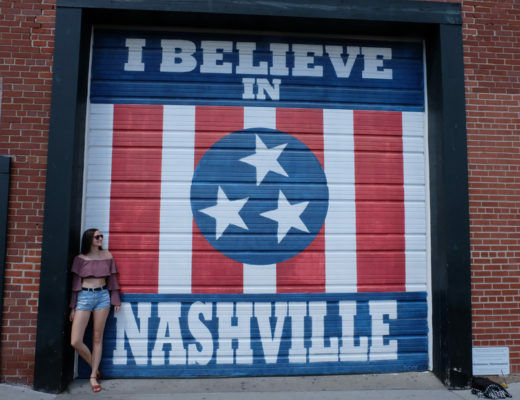 We went to all the major stops that would be difficult to see all in only three hours if you were on your feet or public transit, so it was a great way to see the highlights of the city before deciding where to focus the rest of my few days. 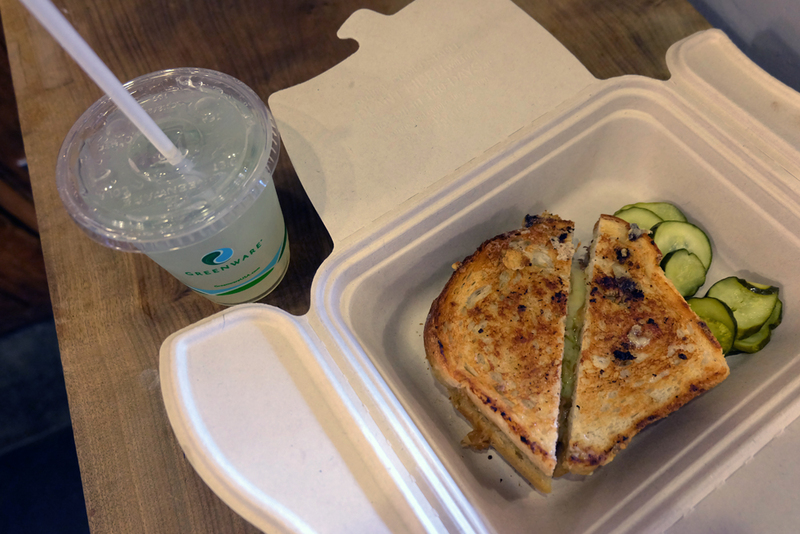 When you’re done your tour, head for lunch at the Ferry Building located at Pier 0 near the waterfront. This building is a fantastic place to eat fresh, locally produced food. There are a ton of vendors to choose from but I was recommended, by multiple people, to opt for the Sidekick Cafe & Milk Bar run by the famous Cowgirl Creamery cheese shop in the city. I had an unreal gourmet grilled cheese here! After lunch in the ferry building, head to Pier 33 (about a 15 minute walk from the ferry building) to catch a ferry to Alcatraz. Alcatraz is an island located off shore of San Fran and is home to the famous federal prison that stood there back in the 30s. 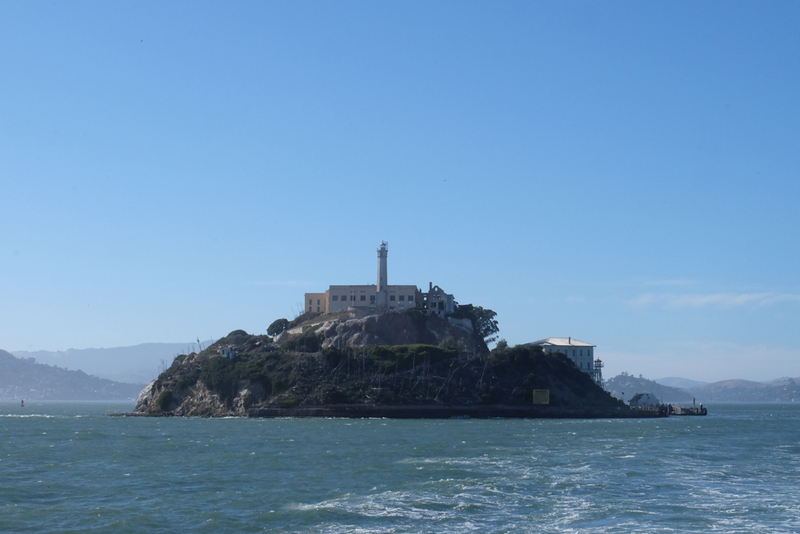 The worst of the worst criminals were sent here because given how it was located on an island, it was “impossible” to escape. Visiting Alcatraz is a must in San Fran but make sure to book your tickets well in advance because they do sell out quick. Also allow for around three to four hours to visit the island and tour the facilities. 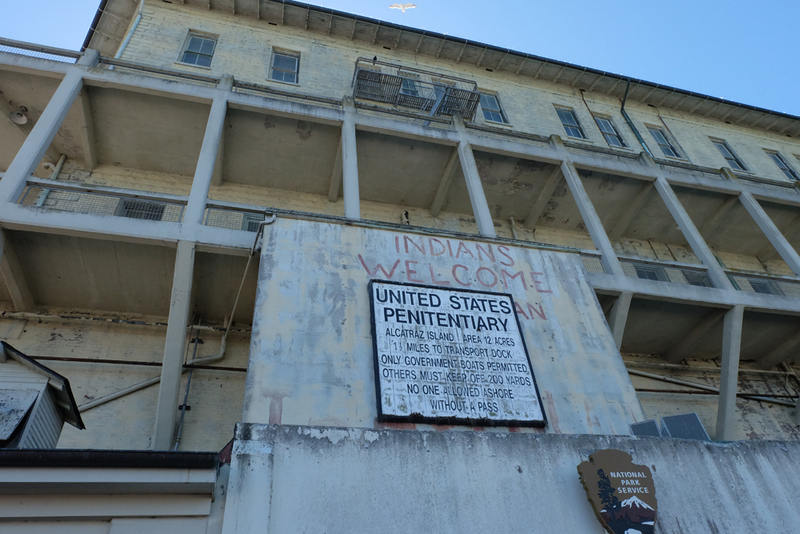 The guided audio tour is fantastic and narrated by actual prisoners and staff that once lived and worked on Alcatraz. 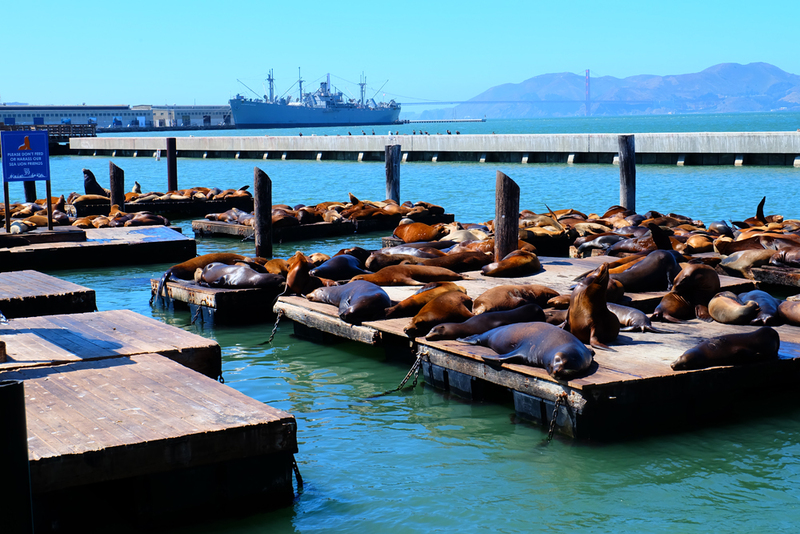 When you arrive back to mainland, while you’re at the waterfront you might as well head for a stroll to Pier 39, home to hundreds of sea lions that come and sun bathe for the day. It’s quite the sight (and smell). After a visit to say hi to the sea lions, walk along the waterfront towards and through Fisherman’s Wharf. This area is known as the tourist hotspot and is lined with seafood restaurants, souvenir shops, and everything in between. Grab dinner at one of the local seafood restaurants. My tour guide with Vantigo said that basically any of the restaurants with Italian names were the best (and likely the oldest too). In particular he recommended Scoma’s. Cioppino is the most popular dish at these seafood restaurants which was once known as the “poor man’s dish”. It’s a mixed stew filled with of all sorts of fresh seafood. 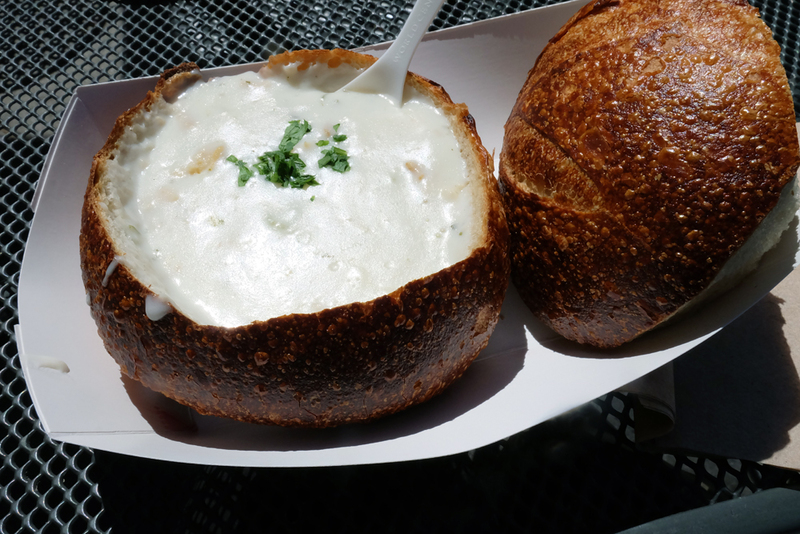 Another option is to grab a bowl of famous clam chowder in a fresh sourdough bowl. You can find this anywhere, but Boudin Bakery & Cafe is definitely one of the original and most popular. 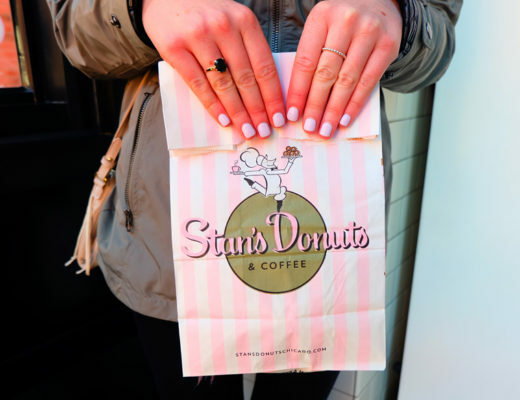 Start your morning off with a sweet treat to fuel you for the day. Pick up some pastries at Mr. Holme’s Bakehouse or Bob’s Donuts where you can even get a donut the size of your face! You’ll learn quick that you seriously cannot stop eating in this city because there is such an amazing food scene. 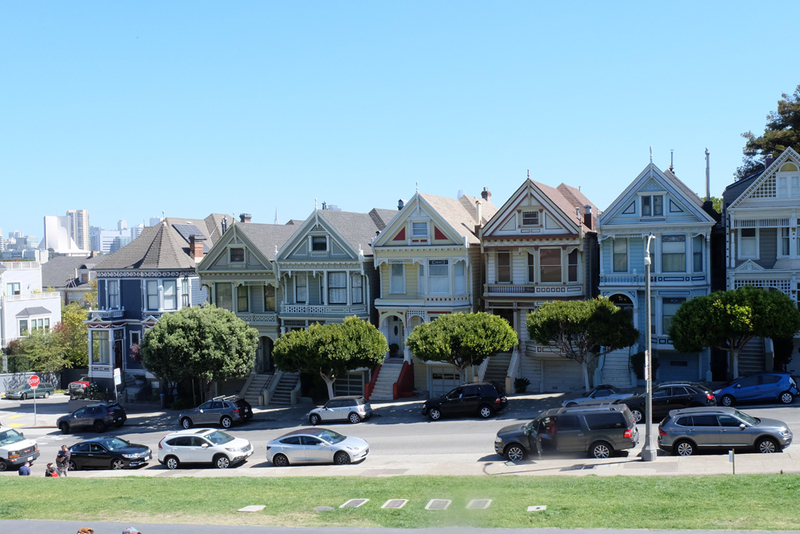 After picking up some treats you might want to opt for heading to check out the famous house that Full House was once filmed in. No tour bus or tour will take you down this street because it’s now off limits, a rule made by the city, so you need to find the place on your own. The house sits at 1709 Broderick Street, and yes, they trick you in the show to believe that the house is actually one of the famous Painted Ladies. Be very respectful when visiting the Full House house as it is located on a quiet residential street. Whether or not you want to make a stop at the Full House house, either way, head to spend a few hours in the Mission District. This area is a diverse neighbourhood with Latino roots, mixed with a hipster vibe. It’s formulated around a gorgeous gigantic park called the Mission Dolores Park which is great for lounging and resting your feet for a few hours. 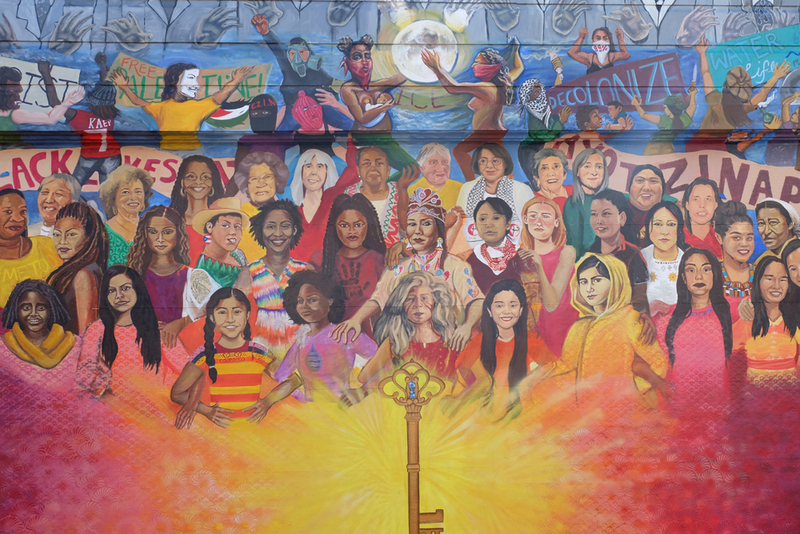 Pop in and out of the cute shops and cafes in the area, and make sure to take a stroll down Balmy Alley and Clarion Alley, both these alleys are lined with gorgeous works of street art. Another notable place you may want to go visit is the home of the famous golden fire hydrant which was the only functioning hydrant in the whole city during the 1906 earthquake and great fires that destroyed most of San Francisco. 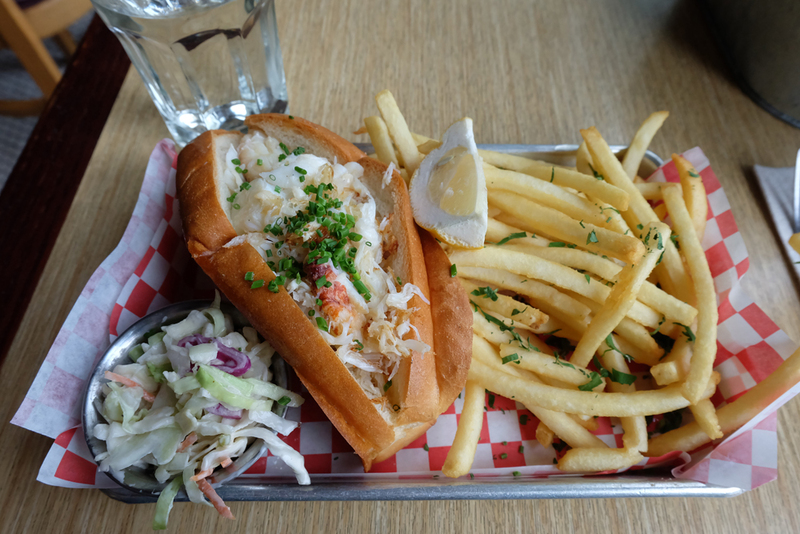 Head for lunch at Woodhouse Fish Co. known for their lobster and crab rolls or eat in the area, and then make your way slowly up to Chinatown. San Fran’s Chinatown is one of the oldest and most established in North America. Wander through the streets of shops and restaurants, and enjoy the rich culture in the area. 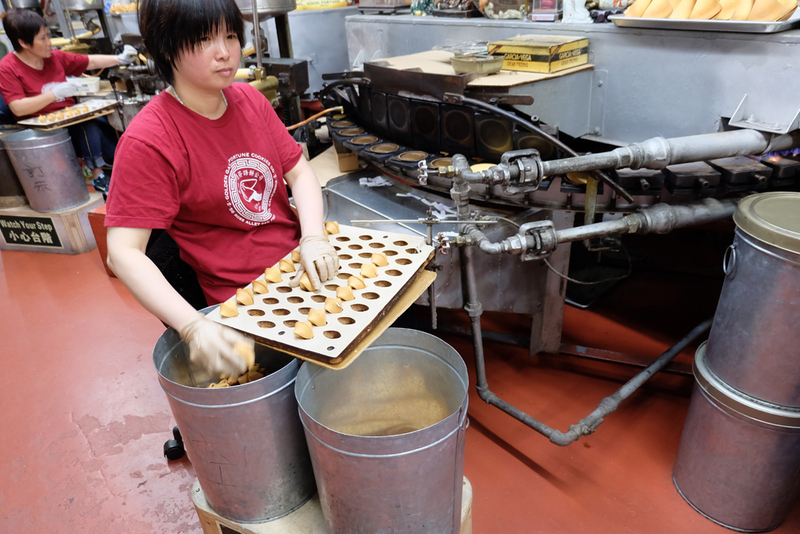 Make a stop at the Golden Gate Fortune Cookie Factory for a fresh (and even personalized) fortune cookie and see people making them right in front of your eyes! You might also want to save lunch or dinner for Chinatown and indulge in one of the amazing dim sum restaurants in the area. Here’s a full list of some of the best. 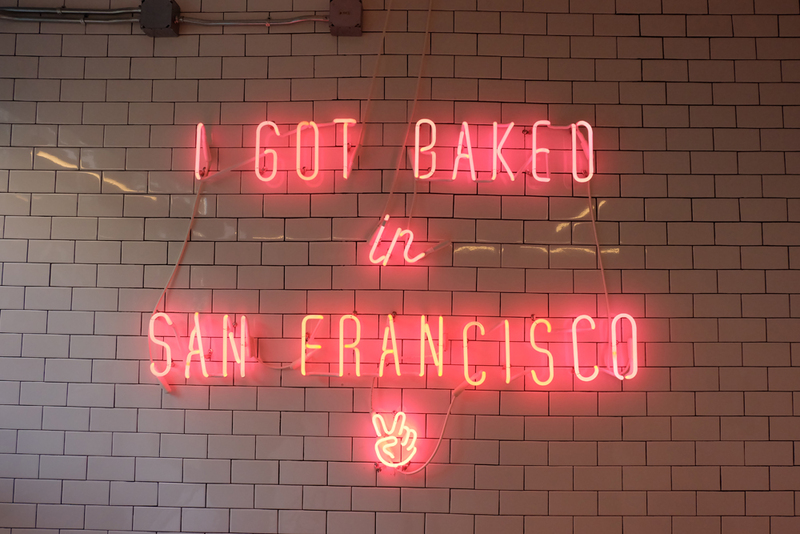 I think one of the best ways to get to know a city is through their food, and as I said earlier, San Francisco does not disappoint in this department at all. So I had the opportunity to try as much food as possible in a short amount of time by joining a local food tour. Food tours are great to get to know a neighbourhood really well through a local, and also sample different foods at different places without having to order full courses. The food tour I joined was with Local Tastes of the City who offers regular daily tours every day through North Beach (Little Italy) and Chinatown. I opted for the North Beach tour because I basically can never say no to Italian food. 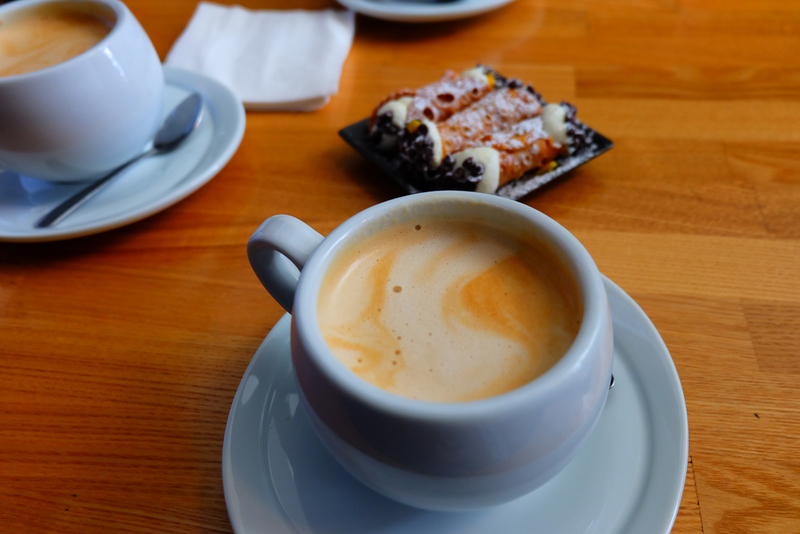 The food tour took me through the neighbourhood where we learned about the history and culture of Little Italy, which by the way is a great area to explore for food even if you don’t want to take a tour. 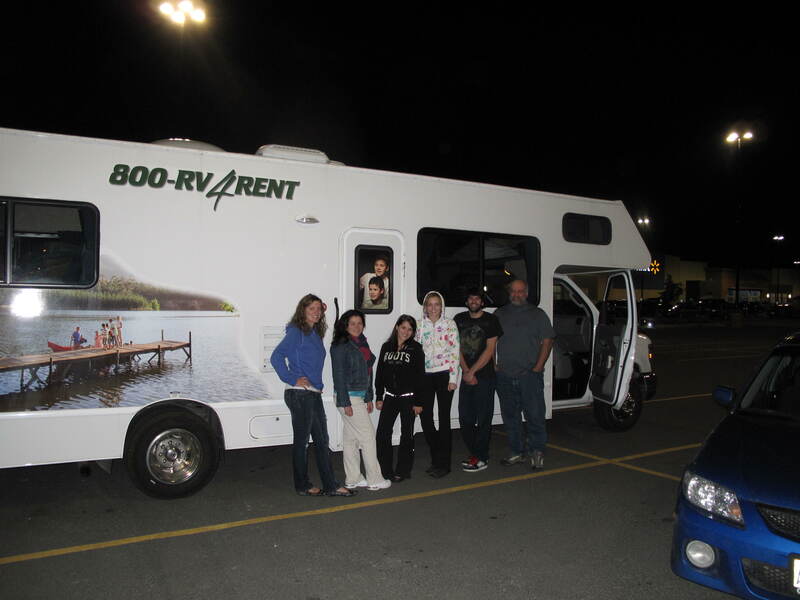 Then on the tour we made a few different stops. We stopped to try a sandwich, espresso and a cannoli, pizza, bruschetta, and locally made fudge. After you do a food tour (whether guided or even on your own), and your belly is full, take the afternoon to chill out a bit. 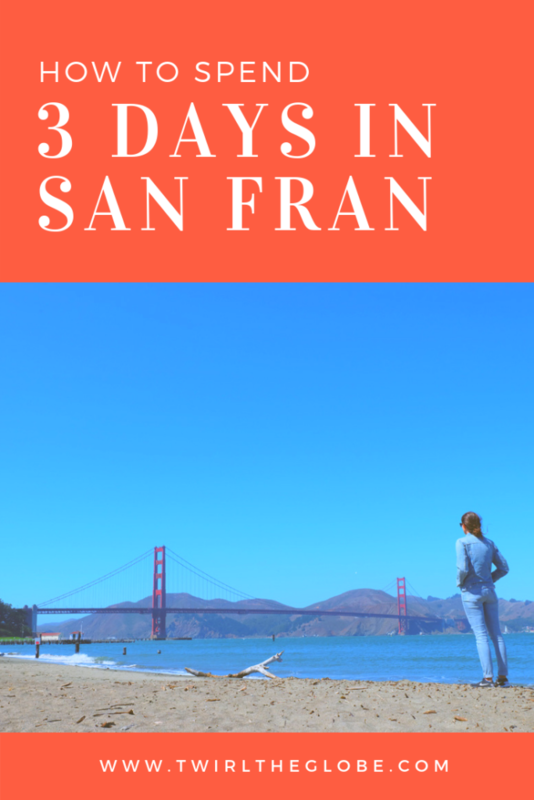 You’ll learn pretty quick that San Fran is exhausting to get around because of all the hills, so you might want a bit of a laid back day at this point. Especially since you’re likely super full! 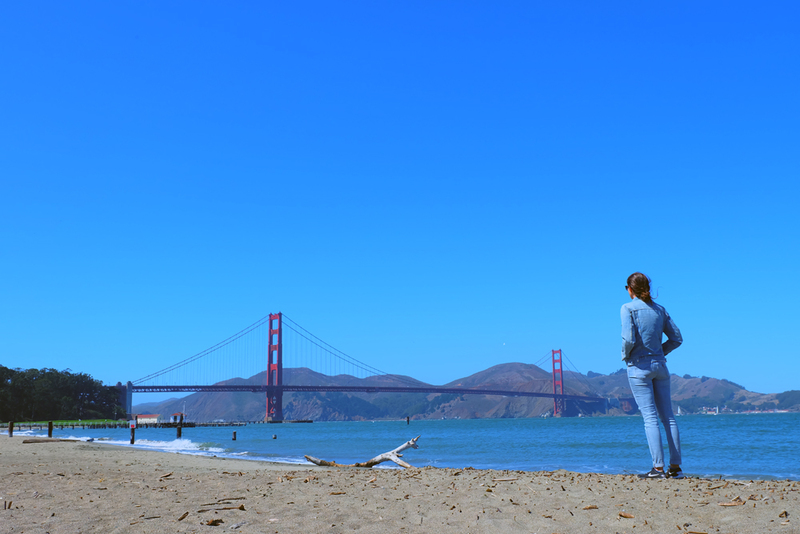 I recommend spending the afternoon biking across the Golden Gate Bridge, heading to a local beach like Baker Beach for spectacular views of the bridge (note: San Fran doesn’t really get bikini weather so dress warm), or lounge in Chrissy Field with a great book. Once you’ve cleaned up from your day, head for dinner on your final night. Again, there are a ton of restaurants you can try, so pick a neighbourhood or area and just walk along the street until you find one that tickles your fancy. One that I really wanted to get to that I didn’t have a chance to was The Stinking Rose, a restaurant solely based around garlic! San Francisco has a ton to offer, and this itinerary only scratches the surface. I’d love to hear some of your recommendations for the city! Share them below in the comments.